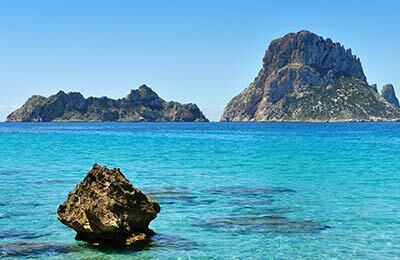 Book a ferry to Alcudia with AFerry. 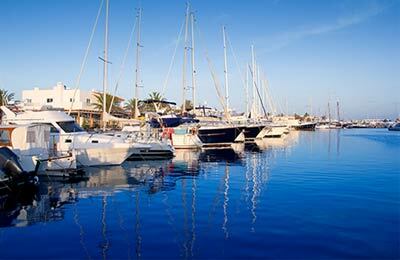 You can use Alcudia to take ferries around the Balearics and also to France and Spain. Domestic services in the Balearics are available from Alcudia to Ciutadella while ferries away from the Balearics sail to Barcelona and Toulon. Ferries to and from Alcudia are operated by Balearia, Corsica-Sardinia Ferries and Trasmediterranea. Because 3 ferry companies operate in and out of Alcudia, comparing can be very useful to help you find the best price at the best time for you. When you search for a ferry to Alcudia, we will always show a range of times just in case it's cheaper earlier or later than the time you select. We'll also show you results for similar ports like Palma to help you find the best times and prices to suit your plans. Alcudia ferries with Balearia, Corsica-Sardinia Ferries and Trasmediterranea are known for their comfort and high levels of service, and you will feel like your holiday has begun the moment you step on board. Travelling to Alcudia will be easy and hassle free. Start by making your booking today, it's quick and easy. I needed to be in Port Alcudia for 8am to sea trial a boat. Rather than fly the day before and book a room for the night i took the overnight ferry. A much cheaper option, the first class seats were comfortable, i arrived in time and refreshed as having slept on the ferry. I would definitely use the ferry again. Such a welcome new route from Toulon to Alcudia, Mallorca. After many years of enduring non existent service, ageing vessels, inedible food and awful facilities for dogs on ferries from Barcelona to Palma, Corsica Ferries have made our journey a delight. Good on board facilities, a choice of restaurants, efficient, polite staff, dog friendly cabins and great staff directing cars on the parking floors. Who could ask for more? Thank you Corsica Ferries - we look forward to our return trip with you! For me it was the first time traveling with Corsica-Sardinia Ferries, for sure not the last time !!!!!!!!!! !